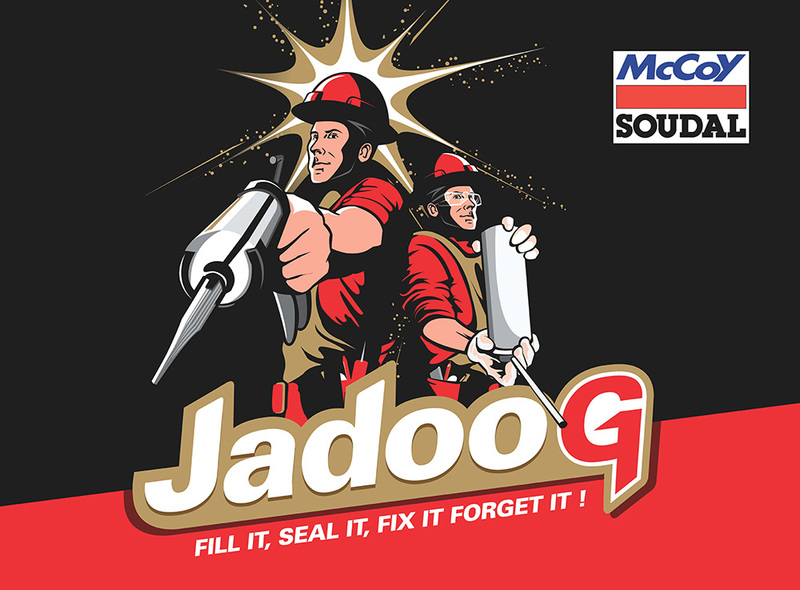 "We are proud to introduce to you the new generation of Sealants, Adhesives and PU Foams from McCoy Soudal. Over the past decades the use of sealants, adhesives and PU foams has increased and more & more applications getting into our homes, building and industry in general. At the same time the guide for the Right Product for the Right Application was MISSING. Jadoo G is the missing link from the market leaders and pioneers of the sealant & adhesive industry to make the first attempt to educate and create awareness to our customers that “one sealant cannot be used for all applications”. "To be India’s leader in the field of Sealants & Adhesives with fully integrated manufacturing, R & D and technical support, added to our existing Marketing, Sales, Infrastructure and Business Development by 2011. Reinforce our presence on new technologies with the ambition of being integrated in core raw materials required for their production and supply in all market segments with complete range of formulated Sealants & Adhesives across India, Middle East, Africa and South East Asia". With the Cooperation from an Italian Giant, Mccoy Now Introduces Mccoy Fly Screens – A first in India with Proven Technology and Accessories since last 35 years globally. McCoy fly screens is a revolutionary concept, this innovation is designed for windows, doors and balconies to mark a breakthrough in architecture. With McCoy Fly Screens, one can feel free to open windows and let in a whiff of fresh air and smoothing sunshine without having to bother about flies and insects entering into your secure interiors.